Just 15 short minutes away from the Orlando International Airport, Kissimmee, Florida, is an ideal family vacation spot. Removed from big city crowds and big city expenses, Kissimmee vacation rentals place you conveniently close to the major theme parks, but also ensure that your family can enjoy some quiet wind-down time before the next day's adventures begin. Kissimmee vacation villas near Disney offer just the right balance between activity and relaxation for families with children. There's plenty to do besides Disney in this region of Florida. Kissimmee offers a wealth of activities suitable for families. After the hustle and bustle of the theme parks, the peaceful beauty of The Disney Wilderness Preserve may be just the thing. Enjoy the sighting of numerous birds and other animals in a natural, easy to hike environment. An affordable adventure, as just a donation is suggested upon entry. Another well priced option for families with children is the Green Meadows Petting Farm. If you've chosen the convenience of Kissimmee house rentals for your vacation lodging, then use that kitchen to pack a healthy lunch and some snacks to bring to the petting farm, and let the kids enjoy a whole day of animals and playgrounds. An array of cultural tours to choose from offers something a bit different from the typical Florida family vacation. Make learning fun with such experiences as Orlando African American History Tour and the Osceola County Pioneer Village and Museum. Local performing arts are sure to capture the imagination. There's even a day spa, if mom could use a little luxury time while Dad takes the kids to Mindy O Waterpark or horseback riding at Horse World Riding Stables. Meet up back at your peaceful Kissimmee vacation home rental for an evening meal or take advantage of one of the numerous nearby eateries to wrap up another glorious vacation day in Florida. When planning a family vacation in Florida, consider something other than the typical hotel or motel experience. The comfort and convenience of choosing a Kissimmee vacation rental home or even a vacation villa can make a real difference in your vacation experience. You may even find it to be the more affordable option, especially when comparing the amenities and conveniences with what local hotels and motels have to offer. That's because you can contact the home owner directly to discuss arrangements and make plans, ensuring that you find exactly what you need to create your ideal family vacation. Start planning your next family get away today, keeping in mind that there are far more interesting options than the typical offerings of the average family vacation hotels and motels. Make your next family vacation an extraordinary experience by choosing one of the many lovely and convenient Kissimmee vacation home rental options as your center of Florida fun adventures. With options ranging from luxuriously pleasurable to affordable vacation comfort and convenience, you'll be able to find just the right vacation house rental to satisfy your itinerary and your vacation budget. 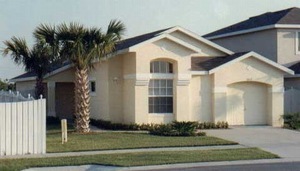 Interested in More Kissimmee, Florida ? Check out nearby Celebration , Clermont , Davenport , Disney , Haines City , Orlando , Winter Haven .